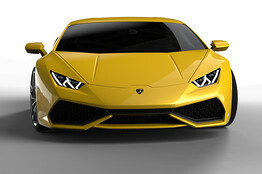 MILAN—Automobili Lamborghini SpA Friday took the wraps off the Huracan LP 610-4, the Italian auto maker’s carbon-fiber and aluminum successor to the Gallardo that will compete in the small and increasingly crowded market for luxury sports cars. A unit of Volkswagen AG VOW3.XE +1.10%‘s Audi NSU.XE -0.75% brand in Germany, Lamborghini faces growing competition from its European peers eager to profit from the growing demand for these high-performance cars priced at €100,000 ($138,000) or more, and for which the biggest markets include the U.S. and China. 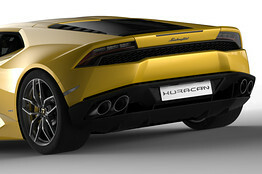 The exclusivity of cars such as the Huracan promises to be enhanced as regulators in major markets demand lower carbon-dioxide emissions; as an increasing number of models in the mass market come equipped with smaller engines or battery-powered systems, a car such as the Huracan, with a 5.2 liter V-10 engine capable of top speeds of over 200 miles an hour, will become ever more exotic by comparison. The Huracan, the Spanish word for hurricane and named for a famous bull from Spanish bullfighting history, succeeds the Gallardo, Lamborghini’s most successful car that went out of production in November after 10 years. When it arrives on the market next year, the Huracan will help Lamborghini in its efforts to fend off competition not only from traditional rival Ferrari, owned by Italy’s Fiat SpA, but also McLaren Automotive of the U.K., which this year launched its third model. It also competes with Aston Martin Lagonda Ltd., which is looking to expand its range after getting a cash infusion from a new shareholder. Luxury sports car makers also need to contend with advances in technology that have the potential to reshape the market.The slick electric cars of Tesla Motors IncTSLA +5.48% , for example, have become an attractive alternative to gas-guzzling super cars. Germany’s BMW AG could also slice into the market with its plug-in, carbon-fiber bodied i8 hybrid, which will be priced above $100,000. The Huracan, for its part, has a carbon-fibre and aluminum chassis, and a new gasoline injection system that provides more power and torque with less fuel consumption. The market which Lamborghini inhabits is small, with a combined total of some 15,000 super cars sold in 2012 in China, Europe and the U.S., according to auto industry research and analysis firm JATO Dynamics. 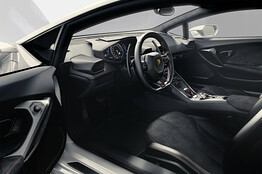 Lamborghini sold 2,083 vehicles that year, with turnover reaching €469 million. Lamborghini cars sell between €150,000 and €300,000 on average. It has yet to disclose the price of the Huracan. Despite its size, even this market has its limits to growth, according to Gareth Hession at JATO Dynamics. Luxury auto makers limit the number of cars they produce to preserve a sense of exclusivity, while the market can only accommodate so many brands, Mr. Hession said. Lamborghini and other luxury car manufacturers are looking to expand into the lucrative realm of sport-utility vehicles, a segment that has been growing fast. Volkswagen recently approved the budget for its Bentley Motors unit to produce a SUV. Lamborghini has said it aims to introduce an SUV by 2017. Guy Brings His White Girl To Barbershop In Harlem And Gets Hated On By Black Hairdresser… Does Anyone Step In To Check Her?